Pineapple Interiors is a professional home staging and furniture leasing company located in the greater metro Denver, Colorado area. Pineapple Interiors approached e design with the launch of their business to aid in the development of all brand and marketing pieces. They have contracted with us exclusively since 2006 to create the company’s identity, website, advertisements, e-newsletters, tradeshow displays and much more. Pineapple Interiors has won numerous awards and accolades and attributes much of their success to the identity that we have created for them. 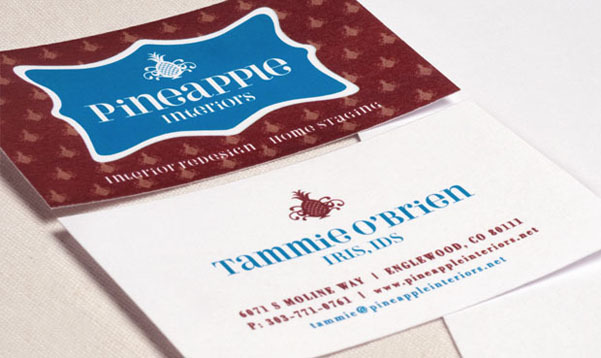 See below to read what Pineapple Interiors owner, Tammie O’Brien, has to say about us. We love making our clients look good!